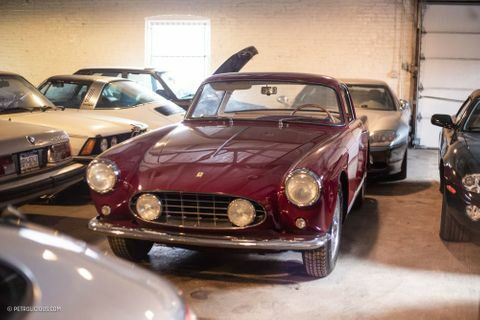 By the time you learn about what might be one of America’s oldest continuously operating garages, it will be reduced to a pile of century-old bricks. 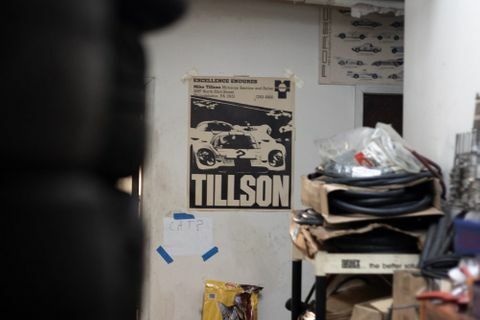 But to names like Kirk White, Skip Barber, and Roger Penske, Tillson Motorcars is a place that won’t soon be forgotten. 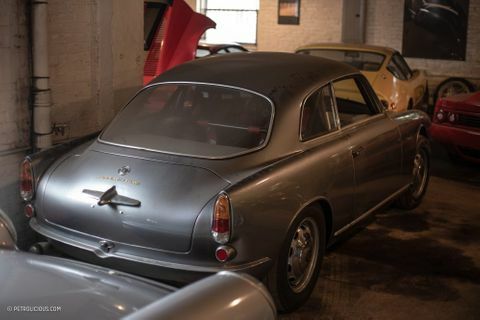 Even before Mike Tillson founded the business in Philadelphia’s Overbrook area, automotive history was being written in this very space that, in 2019, is set to be demolished to make way for student apartments connected to neighboring St. Joseph’s University. 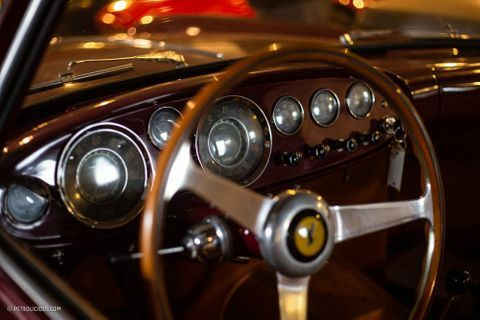 Philadelphia is often credited as being “the first great industrial city,” and with the boom in industry came a demand for automobiles, and for the enclaves of wealth along Philadelphia’s Main Line train route, it meant a growing market for high-performance custom cars. Before that scene flourished though, In the very early 1900s this garage on N. 63rd St. was set up to support the Main Line’s growing car culture. 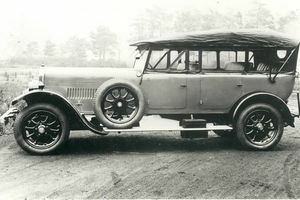 The garage, and the house attached to it, was designed by prominent Philadelphia architect Horace Trumbauer. It was one of his early designs, when the Overbrook neighborhood was attracting industry tycoons with sprawling mansions and a more relaxed pace of life than bustling Center City. The property was used to showcase Trumbauer’s detached garage design. He later went on to design Harvard’s Harry Elkins Widener Memorial Library and the Philadelphia Stock Exchange building. 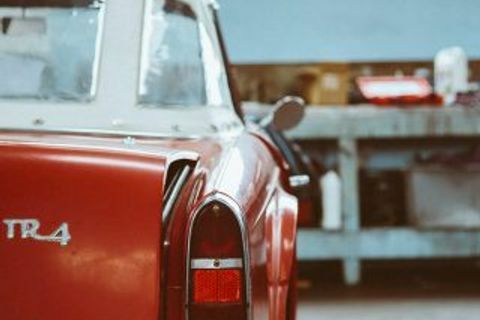 Today the future of the garage hangs in the balance, with prevailing market forces likely leading to a situation wherein it’s no longer sustainable to utilize the space as a garage. It’s in an early state of disrepair, and the developer has offered more money than anyone thought it was worth. 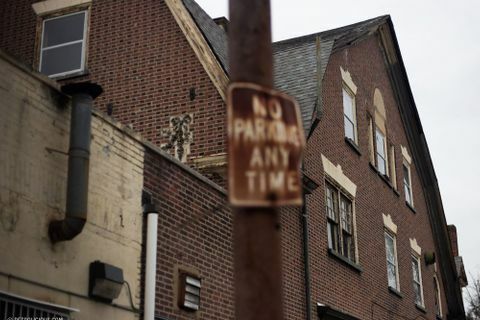 A lot of wealth has left the area, and the city of Philadelphia has enforced unfavorable tax policies for small businesses, making it all the more difficult to keep things running. Ed Tatios, Tillson’s brother-in-law, runs the garage today, and reluctantly admits that it may have just about run its course. 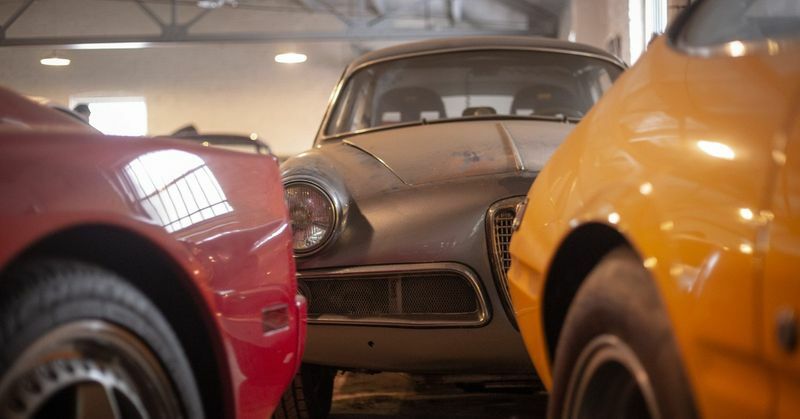 Despite the deteriorating façade of the building, there’s a collection of some of the most sought-after automobiles in the world sitting inside. But perhaps it’s the legacy, the stories handed down over the generations from one shop employee to the next, that have increased most in value over the years. And now that the operation is ending, they’re more valuable than ever, though will be forgotten by most. 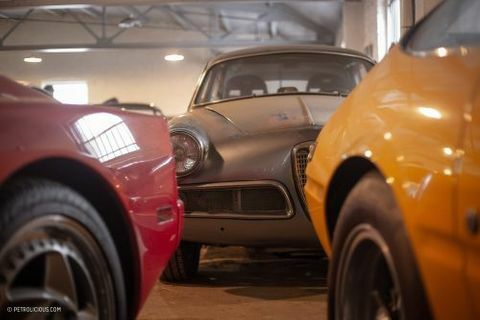 At the height of Tillson Motorcars, three Ferrari GTOs sat parked in a row off in the corner. 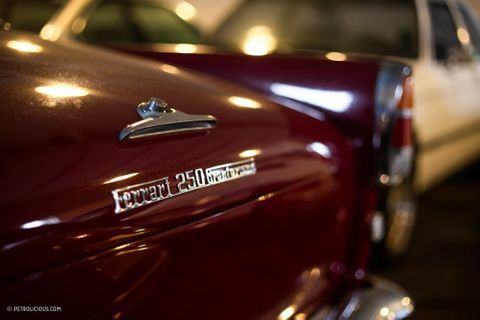 At the time, the shop was having a trouble unloading them at a mere $8,500 each. 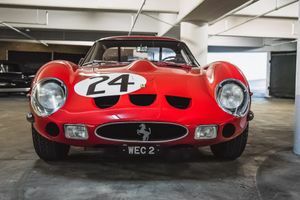 According to Ed, one of the most expensive Ferraris privately sold was one of those three GTOs. Mike Tillson was out on a test drive in the GTO when disaster struck. 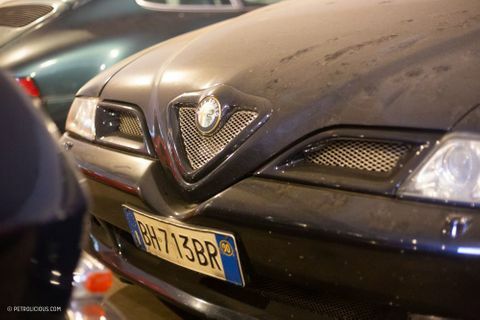 An accident had totaled the car, but it wasn’t entirely a loss—everyone was safe, and this meant that insurance would pay on the car that customers just weren’t buying. Tillson collected the check and bought the GTO back from the insurance company. 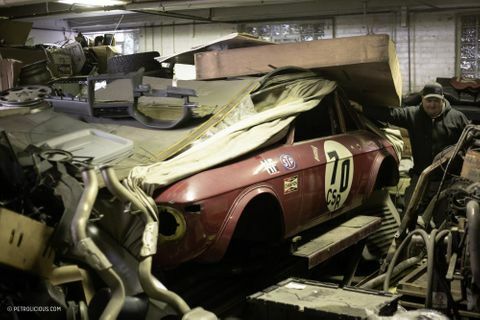 John Surtees raced the car in period, so it was valuable enough for someone across the pond to buy, even in its totaled state. 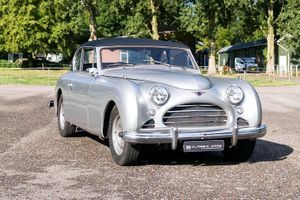 It sat for decades in obscurity until it recently resurfaced, was restored, and sold for an undisclosed sum. Tillson’s connection with Ferrari runs deeper than this though. Philadelphia native Roger Penske sent his ill-fated 512M for service and set up at the shop, and if you look closely you can even see Sunoco Blue and Yellow peeking through the peeling paint in various places on the tired walls. 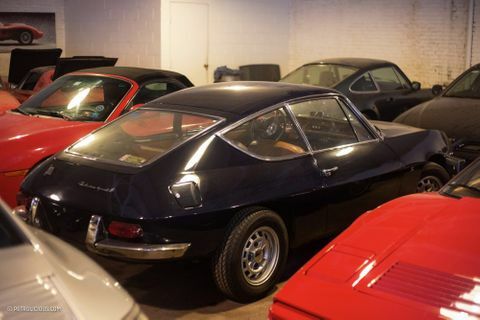 Another notable Ferrari the garage has seen was sourced and prepped by Kirk White. 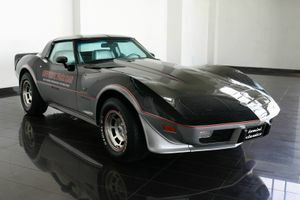 This one a Daytona piloted by Dan Gurney and Brock Yates on the first Cannonball Run in ’71 from New York City to Los Angeles (not the same car as the yellow example in thees photos). 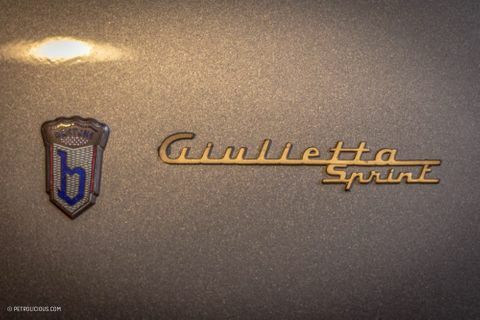 Gurney got a ticket for doing 135mph in a 70mph zone in his blue 365GTB/4 according to the legend. 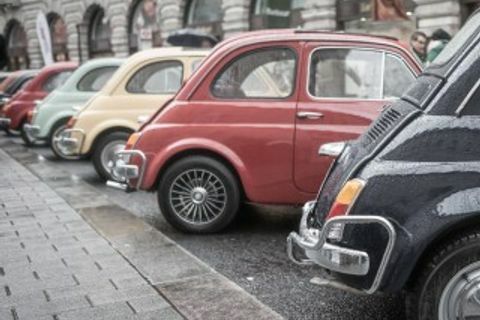 The modern car auction as we know it also has some of its roots in this very building. 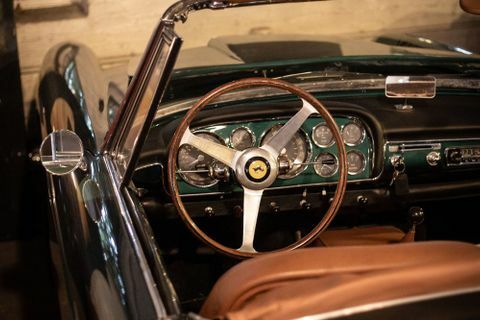 Kirk White is widely known as the father of the auto auction, setting up a business model that’s very similar to what’s in place today, and in the 1960s and ‘70s White would buy Ferraris with provenance, and between Algar Ferrari and Tillson Motorcars, they’d be prepped to sell at auctions he set up. 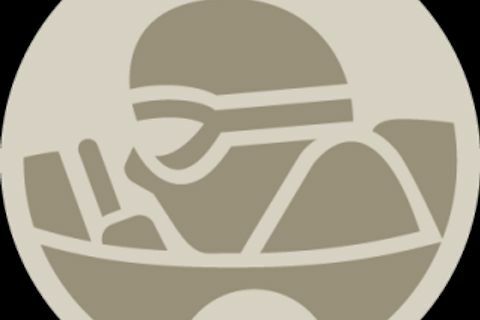 He found a niche and capitalized on it, or else founded an industry and parked himself at either end of it. 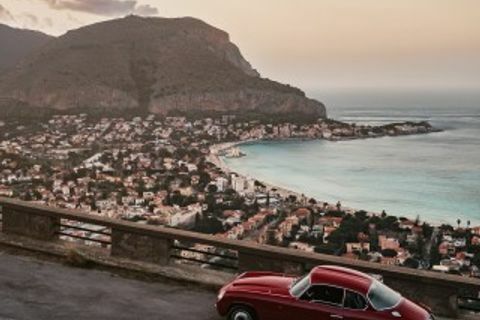 While Kirk White fostered the Ferrari connection, Mike Tillson was busy with another side project putting Italian engineering in front of the masses. 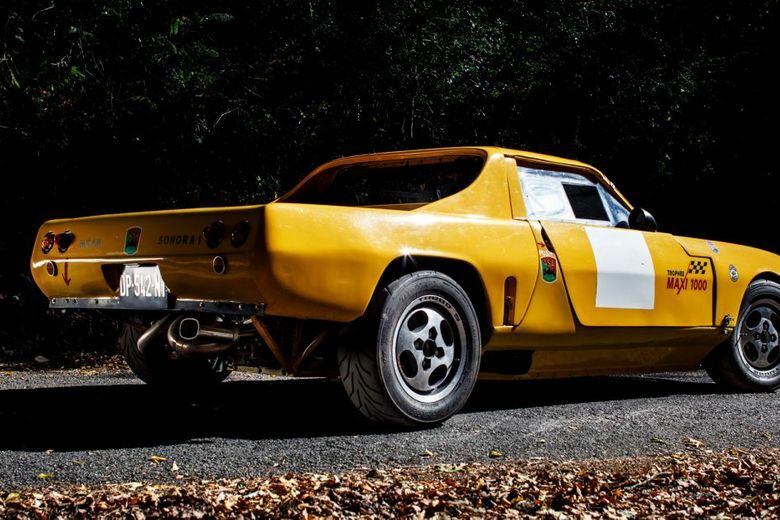 Lancia had sent over an HF Fulvia that Mike entered in local races. 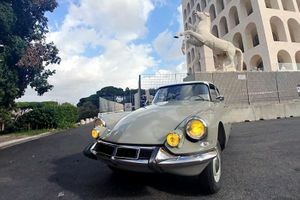 After that car’s career in the 1970s, it was promptly disassembled and has been sitting in the shop in exactly the same configuration as on the day of its retirement. Currently it’s under a tarp, off in the corner, with engine blocks, exhaust tubing, and various other bits from various other cars built up around it like fortifications surrounding a general’s headquarters. It wasn’t all Italian however. Another Philadelphia native, Skip Barber, sold Formula Fords around the same time as his eponymous racing school was taking off. 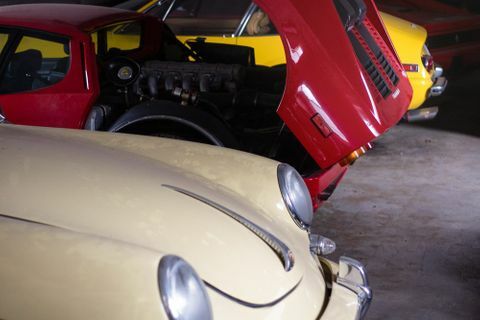 As the course of this storied garage nears its end, another question looms: what will happen to the dozens of incredible machines still hanging around? 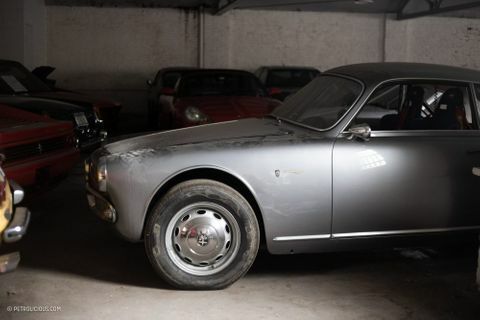 An Alfa Romeo Giulietta Sprint that competed in the Carrera Panamericana wears a thick coat of dust that tells us it hasn’t been touched in years. 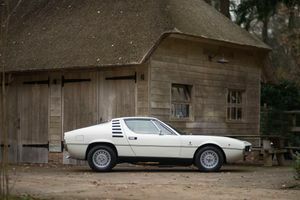 There’s also a Zagato Fulvia that’s been with Mike Tillson since new. 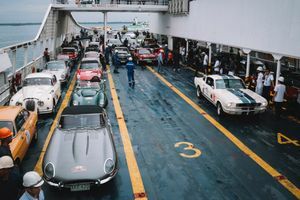 The cars are inextricably tied to the building itself, most of them having either been built or serviced here for their entire lives. The unabated destruction of historic buildings in Philadelphia, like any major city, is part of the natural cycle of urban development, but rarely does it include our little Petro-focused corner of the conversation. 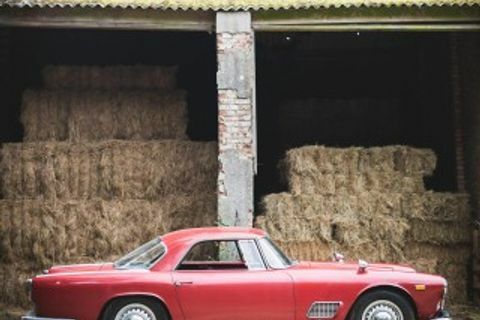 To us, names like Yates, Penske, and White are equivalent to holy saints, and this garage is its own form of sacred ground. 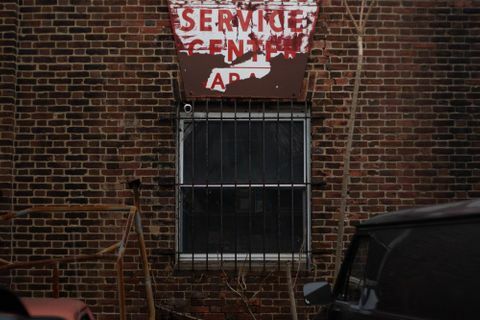 To the general public these names are merely a few folks who tinkered with cars and kept the neighborhood up with their whiny impact wrenches. 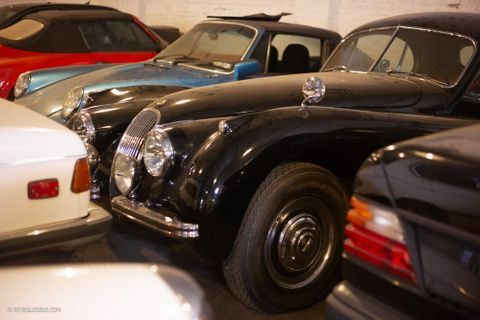 This impending closure of Tillson Motorcars is certainly a loss for our community regardless of whether we’ve ever even driven past the place, but it’s also the sort of pivot that turns a collection of stories into something more like lore. 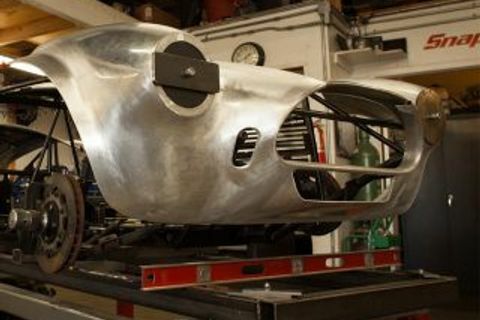 The stories live on far beyond the life of a physical place, and in that sense Tillson Motorcars will be around for some time yet. 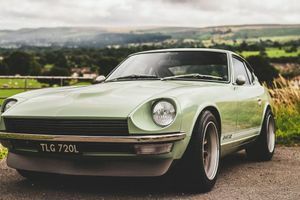 Is This The Perfect Evolution Of The 240Z Experience? Probably.